It’s very close to the Body Ecology’s principles, and there came all the creative inspiration I’ve been looking for. So whether you are sugar-free or just trying to be mindful of your sugar intake over the holidays. I highly recommend this smoothie as the raw monk fruit gives you just the right amount of sweetness you need. I used the Body Ecology’s Immune Power Protein. While I’ve been on this journey I have been sensitive to any caffeine even the amount in raw cacao. Therefore with the Immune Power Protein blended with a tablespoon of organic carob is just the amount of chocolate that I’ve been missing. Without the feeling like hell for days later – this blend is also filled with adaptogens that are great for your adrenals. I promise this is NOT a sponsored post just a happy customer. Feel free to use any sweetened chocolate protein powder you have that works for you. Another product I used is Lakanto’s Golden Raw Monk Fruit – which is also one of my new staples. Due to being sensitive to any sugars while I’m healing my gut health, this has been my EVERYTHING! After doing plenty of research on Lakanto I know don’t even feel the need to go back to the “healthy” sugars that I was used to using. They were also kind enough to provide me a promo code for anyone interested in trying out the product. Just use “MYTINYLAGUNA” for 20% off your entire order. *if you practice Body Ecology I would enjoy this on Stage 2 or 3. 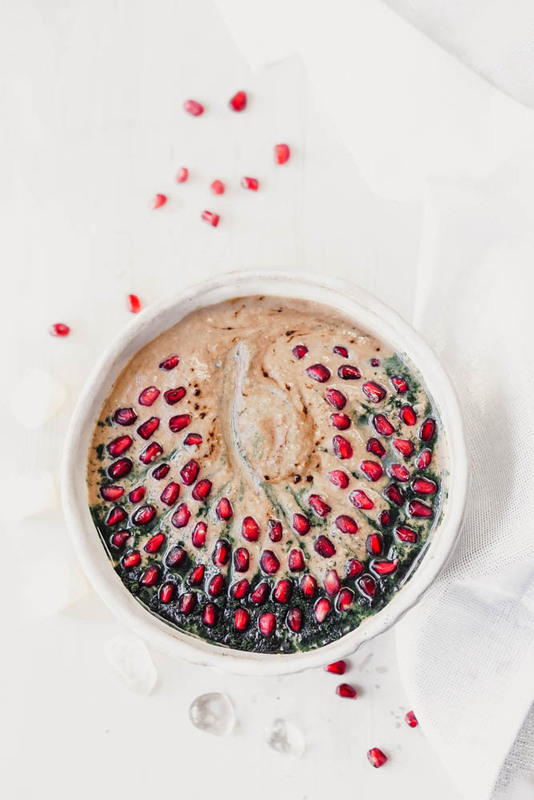 Place all of your ingredients in a blender except for your Blue Green powder and pomegranate seeds. Once everything is fully blended and to the taste, you like. 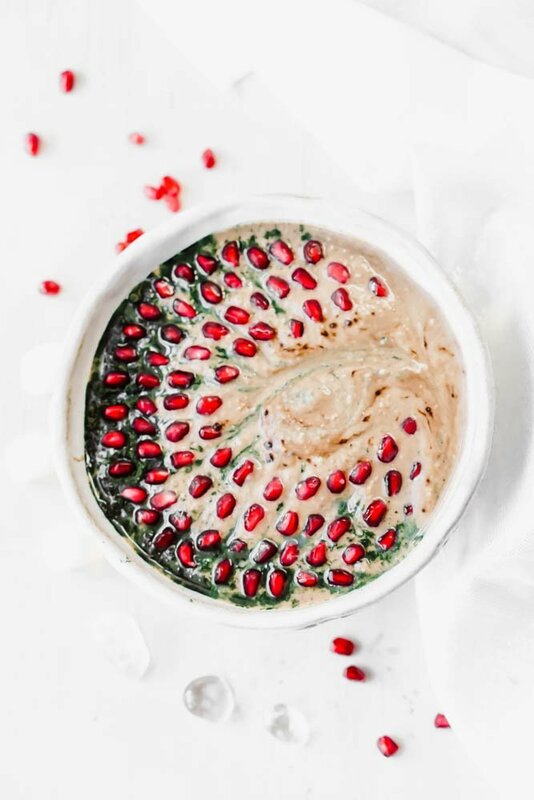 Pour smoothie mix into a bowl. If you want the smoothie to be a little sweeter add more raw monk fruit to taste.